By Jasper Wenban-Smith, international editor of ForesightNews. A special round up of world events from July – December 2013, from journalist resource ForesightNews. On 1 July, Canadian Mark Carney replaces Mervyn King as the head of the Bank of England. Carney has already caused quite the stir in the world of central banking by suggesting banks could have GDP – as opposed to inflationary – targets, so his arrival at The Old Lady of Threadneedle Street may inject some much needed pizzazz into the monthly policy briefings. 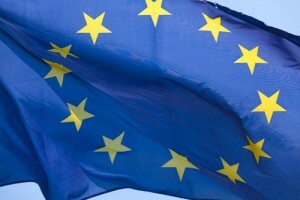 The same day, Croatia is scheduled to become the 28th member of the European Union. Despite the likely continued financial and economic challenges facing the region, expect much EU back-slapping as it welcomes its latest member into the fold. The issue of whether to allow women to be ordained as bishops in the Church of England is set to be revisited at the church’s summer General Synod, which runs from 5-9 July. It was immensely embarrassing for the CoE that proposals were voted down in November 2012 and leaders are highly unlikely to allow a repeat. Finally, at precisely 8am on 7 July, Spanish and international lunatics will once again willingly put themselves at risk of horrific injuries when the annual Pamplona bull run kicks off. An extradition hearing is scheduled to open on 12 August in New Zealand in the case of the larger-than-life founder of Megaupload, Kim DotCom (née Schmitz). Since his arrest the German-born tycoon with a penchant for preposterous self-portraits has endeared himself to New Zealanders, becoming something of a celebrity, particularly after he earned a public apology from Prime Minster John Key after it emerged he had been surveilled illegally. 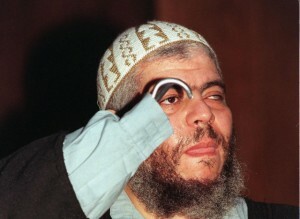 Meanwhile, in New York Abu Hamza is due to go on trial on 26 August, following his extradition from the UK in 2012. The Egyptian-born radical preacher faces allegations that he was involved in hostage taking in Yemen in 1998, attempting to set up a terrorist training camp in Oregon from 1999-2000, and ‘facilitated’ violent jihad in Afghanistan. If found guilty on the first charge, he could face the death penalty. Finally, 28 August marks the 50th anniversary of Martin Luther King’s ‘I Have a Dream’ speech. Russian President Vladimir Putin hosts G20 leaders, including his US counterpart Barack Obama, in St Petersburg from 5-6 September. Two days later, on 7 September, the International Olympic Committee opens its 125th session, the highlight of which will be the announcement of which city will be hosting the Olympics in 2020. Contender cities are: Istanbul, Madrid and Tokyo. 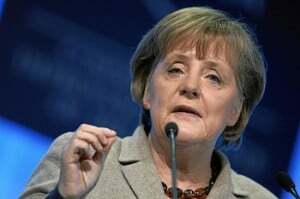 Germany’s Angela Merkel faces an election this month, with 22 September seen as a possible date (the election window runs from 8 September to 27 October). The leader of the Christian Democrats seems likely to remain leader of Eurpoe’s largest economy, however she is likely to replace her coalition partners the Free Democrats with the Social Democrats. With the global economy, and more precisely its poor performance, still likely to be at the top of the agenda, the IMF and World Bank meetings take place from 11-13 October in Washington DC. From 18-19 October, Panama will host leaders from the Iberian Peninsula and Latin American for the 23rd Ibero-American Summit. Lastly this month, there are elections (on a date yet to be announced) in Azerbaijan, where current President Ilyam Aliyev hopes to be re-elected. The lack of meaningful opposition in the oil-rich nation means his wish is likely to become reality. From 5-21 November, UNESCO will hold its biennial General Conference in Paris with the Palestinian Authority in attendance as a full member. In Chile, elections take place on 17 November. President Sebastián Piñera’s popularity has plummeted since the remarkable events at the San Jose mine back in 2010; in particular he has faced vocal opposition from the country’s students. There are rumours that the country’s first female and highly popular president, Michelle Bachelet, may be tempted to return to Chilean politics to challenge Piñera. 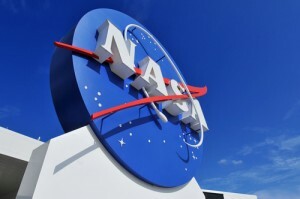 A day later, on 18 November, NASA will launch its latest mission to Mars, the MAVEN (Mars Atmosphere and Volatile Evolution) spacecraft from Cape Canaveral in Florida. It will not arrive at the Red Planet until Autumn 2014. Finally, on 30 November, Hondurans will go the polls to elect a new president. The current leader Porfirio Lobo, who replaced Manuel Zelaya following a controversial ‘coup’ in 2009, has indicated he does not plan to run. In reality, both Lobo and Zelaya may well be candidates. On December 10, the winner of the 2013 Nobel Peace Prize will pick up the accolade at a ceremony in Oslo, Norway. In the United States, meanwhile, Newtown, Connecticut, will mark the anniversary of the Sandy Hook Elementary School shootings, in which 20 students and six teachers were killed by Adam Lanza. It remains to be seen whether the country’s gun laws will be meaningfully modified. Previous shooting-sprees have resulted in little or no action being taken. Finally, British Prime Minister David Cameron has promised that by December 31, UK troop levels in Afghanistan will have been reduced to just over five thousand ahead of NATO’s withdrawal by the end of 2014. Despite claims by politicians of significant progress, many commentators are anticipating a total implosion once foreign troops leave the Graveyard of Empires.